At the end of 2017 Trefoil helped fund Children’s Classic Concert’s We Can Fly Project. Children’s Classic Concerts provide interactive and inspirational experiences of live music. 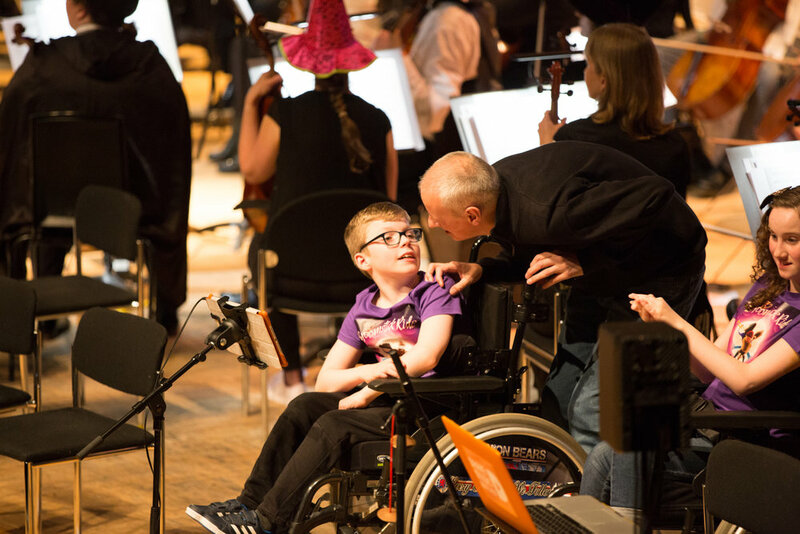 ‘We Can Fly’ is a moving piece of music tailored for pupils with additional support needs at the point of their transition between primary and secondary school. P6/7 pupils with additional support needs participated in workshops in February 2018. Pupils improvised with technology such as Soundbeams and Thumb!Jam for iPads, and used the inclusive figurenotes notation system to compose their own pieces. They explored the theme of change as a method of expressing emotions linked with their upcoming move to senior school. To round off these sessions the children performed their pieces as part of a series of concerts to the delight of peers, parents and staff.